Nothing stinks worse than a sewage backup—literally and figuratively. After all the work you put in to maintaining a peaceful home or inspiring business, the last thing you need is raw sewage coming up through your pipes, carrying bacteria and destroying your floors. Unfortunately, sewage backups are all-too common in Chicago, Naperville, and the surrounding area. Not only can your plumbing clog or malfunction, causing your toilet to backup and overflow, but rainstorms can also flood the sewer system, forcing excess sewage up through your pipes. Fortunately, property owners in Chicago know they can always turn to 911 Restoration for immediate, expert sewage restoration. 911 Restoration of Chicago is open to your calls every hour of every day. Even if you call in the dead of night, you can expect to hear a friendly voice on the other end of the line. Additionally, 911 Restoration guarantees a 45 minute arrival time. No four-hour windows, no watching the clock while sewage seeps into your carpet, no putting your life on hold to wait for your sewage cleanup technician. Just immediate service and instant peace of mind. Your IICRC certified sewage water cleanup staff handles every aspect of restoration, from sewage removal to mold inspection. They communicate with you every step of the way to ensure you never feel left in the dark and never have to wonder if the service you’re getting is the service you need. 911 Restoration offers a free visual inspection for property owners, giving you a crystal clear picture of the problem at hand before they begin sewage cleanup. They even make sure you have a full understanding of your own insurance coverage, walking you through the benefits offered by your provider. When we say you don’t have to go through this alone, we don’t just mean you don’t have to clean up your own sewage water flood. We genuinely mean our sewage cleanup technicians will handle everything, from repairing damages to making sure the entire process is affordable for you. If your property has been struck by the horror of sewage water damage, don’t despair. 911 Restoration has all the solutions, and we bring them to you fast. All you have to do is call. A sewage backup creates a feeling of contamination in your home or business. After all, black water often contains hazardous microorganisms, such as salmonella or E. coli. If you have sewage backed up in your basement or your bathroom floor is flooded with toilet water, you may feel like your property can never feel as healthy as it did before. The truth is, the right sewage water cleanup company can leave your home or business feeling even fresher than it did the day you bought it. 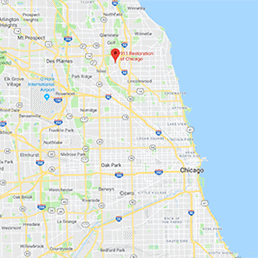 The technicians at 911 Restoration of Chicago are all IICRC certified, meaning they have the highest qualifications to properly sanitize and restore your space. Each specialist has been highly trained to handle sewage cleanup and all the repairs and follow-up procedures necessary for full restoration. When your sewage cleanup is complete, you’ll feel as if there’d never been a backup. Call 911 Restoration of Chicago today and finally breathe easy again. 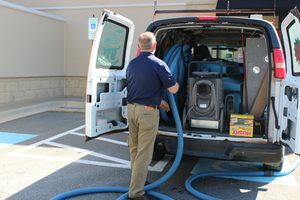 When your home or business is flooded by sewage or hit with toilet water damage, simply removing sewage isn’t enough. 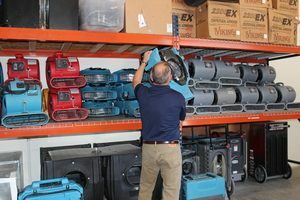 You need comprehensive service to repair the damages and ensure there will be no future issues with mold contamination. When our techs arrive at your property, they start with sewage removal, but they don’t stop there. They sanitize and dry out the area. They check for damage to your hardwood, drywall, sheetrock, and carpeting. If any permanent damage is found, they tear out and replace the destroyed surface. They dehumidify your concrete floors to ensure no absorbed water resurfaces and provides a breeding ground for mold colonies. They even inspect for mold and remove any infestation they discover. 911 Restoration of Chicago covers all your bases, saving you the time and expense of having to hire other contractors later on down the road. We want you to feel the relief of restoration the moment you hear our sewage cleanup experts on the phone. We want to give you a clear view of the light at the end of the tunnel. If you’re in need of compassionate, expert sewage cleanup, call 911 Restoration of Chicago now. We’ll put you on the fast path to a Fresh Start.